Now that Easter is over, it's time to turn our attention to Mother's Day. That being said, welcome to day one of the 2016 Mother's Day Series. 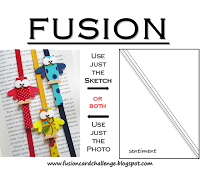 Today's card is featuring the new Mom and Me stamp set from Lawn Fawn, as well as a few "new to me" items that I am just loving! To begin, I stamped the owl on Copic friendly paper and coloured them with Copics. I don't have the coordinating dies for this set, so I fussy cut the image out and put foam tape on the back. I stamped the tree stump directly onto the card base using CTMH Saddle ink with the MISTI. I also stamped it a second time on some post it tape to create a mask. After putting the mask over the tree stump, I stamped the tufts of grass. The mask makes it appear as though the grass is behind the stump. I used the larger flower and used first, second and third generation stamping to vary the shades of red. I stamped the butterflies using CTMH Honey ink. I stamped the "Happy Mother's Day" greeting from Lawn Fawn's "celebration scripty sayings" using Golden Glitz Delicata Ink from Tsukineko. The picture does not do the shimmer of this ink justice. I have tried several metallic pigment inks, and this is by far the best I have every seen. 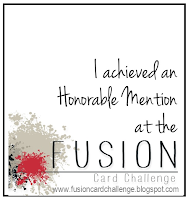 This card was selected for Honorable Mention on the Fusion Challenge! This is darling! Thank you for joining us at Fusion!